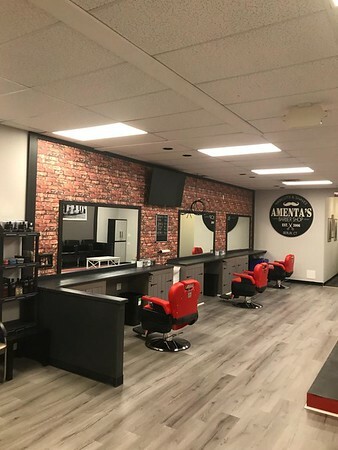 BERLIN - Much like a new haircut, Amenta’s Barbershop has a new look about it. The shop had a ribbon cutting on June 25. “Location, location, location,” said Amenta on why he moved, in addition to the bigger space available on Farmington Avenue. “There’s nothing on this road right now in terms of barbers,” he said, adding that Farmington Avenue is the main business street in town, and the rent at his new location is cheaper. 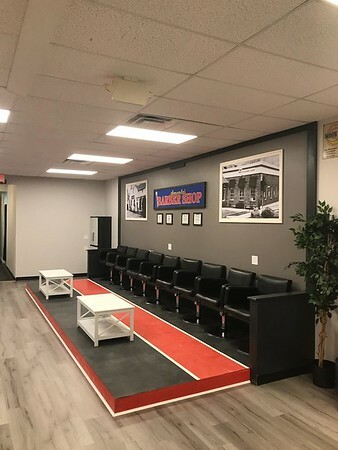 With the new location came the transformation of his simple shop to a full-line barbershop with new cabinets, a raised waiting area and two TVs above the barbers’ work station area. That all was made possible with the help of Amenta’s friends and his wife, Katie, the 2017 Berlin Teacher of the Year and former girls soccer coach who led Berlin High School’s team on an underdog post-season tournament run, he said. Cold sodas are available, and soon cold-brew coffee will be. Amenta, who grew up in Berlin, said he began cutting hair while he was a student at Mitchell College in New London and Central Connecticut State University in the late 1990s. He helped children at Wheeler Clinic in Plainville for a few years in the early 2000s before getting burnt out, he said. That’s when he decided to pursue barbering. He went to barber school for a year, then went to work at a shop near the Bank of America branch on New Britain Avenue, a year or two before the owner decided to get out of the business. Amenta took over ownership, changed the shop’s name and worked at that location for a year, then relocating elsewhere on New Britain Avenue. 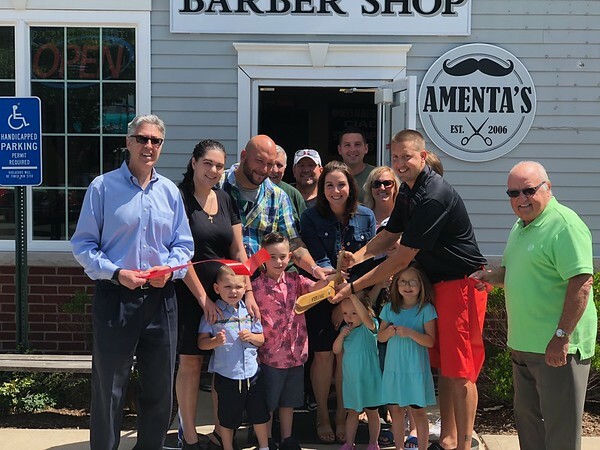 After having a partner for a while who didn’t work out, Amenta said, he was joined in November 2017 by fellow barber Rob Winkler, who Amenta says has proven a good fit. Posted in New Britain Herald, Berlin, Business on Tuesday, 10 July 2018 20:09. Updated: Tuesday, 10 July 2018 20:11.